Automotive engineering is one of the most technologically interesting and compelling specialties available. Experts in automotive engineering are poised to develop innovations that will change society and address global problems. Consistently rated as one of the five best Colleges of Engineering in the country, U-M offers top-ranked academics. The U-M Master of Engineering in Automotive Engineering is an advanced professional degree program that is designed specifically for today's modern engineering world. 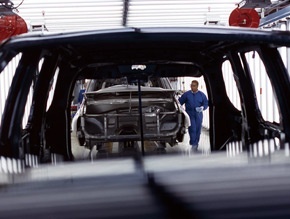 It emphasizes engineering fundamentals and practice with focus on recent advances in automotive engineering. The curriculum offers courses on state of the art and cutting-edge engineering systems such as Energy Generation and Storage using Modern Materials; Advanced Energy Solutions; Ecological Sustainability in Design and Manufacturing; Modeling, Analysis, and Control of Electric Hybrid Vehicles; and Fuel Cells and Fuel Processor. These courses are taught by U-M faculty who are international subject experts, and they are offered in flexible format with on-campus and online options. Many students complete this degree entirely online. Education is accelerating the transformation of the automotive industry. Students who graduate from this program will have strengths in modern automotive systems, engineering fundamentals, enhanced interdisciplinary skills, and the teamwork skills necessary to guide product and process development in this rapidly evolving field. The State of Michigan is and will continue to be a leader in automotive manufacturing, which creates a synergistic learning interchange with U-M.
A highlight of the program for many students is the Capstone Project. While developing an industrial project, students have the opportunity to interact closely with the faculty, other team members, and industrial leaders. For most working professionals, terms like "competitive advantage" and "winning returns" serve as mere business goals, benchmarks against which company performance and improvement efforts can be measured. For ISD graduate Akilla Srikrishna and his employer, Chip Ganassi Racing, though, the words take on a far more literal meaning.